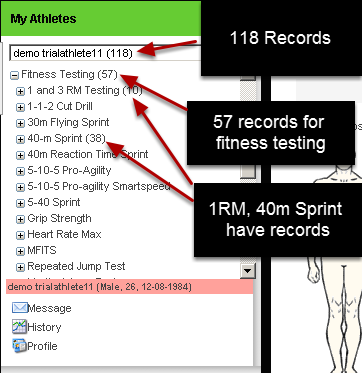 The Sidebar is available for you to review all of your athletes data by form. 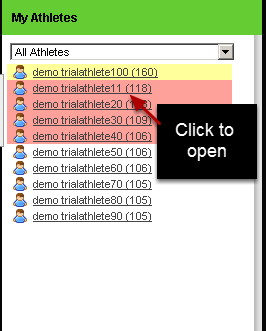 Click on a "Plus" beside any of the event form names to see the actual entries and any summary fields. Additional buttons will also appear, to take you to the history for that form or to enter in new data for that form. You can see the history for a specific type of event by clicking on the "History" icon underneath the name the event form. This will take you to the "Athlete History" page for that event. 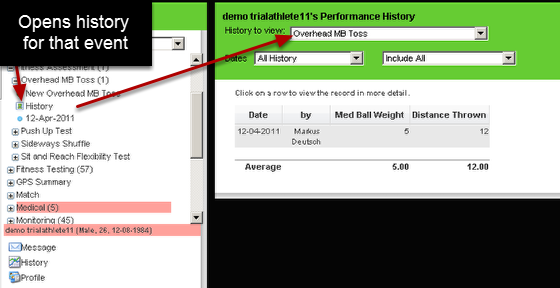 Summary data will appear in the sidebar if it has been set up by your site Builder. 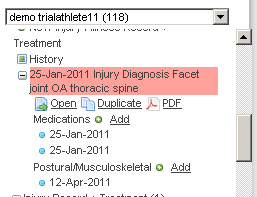 This injury record has additional records that can be "linked" to it. 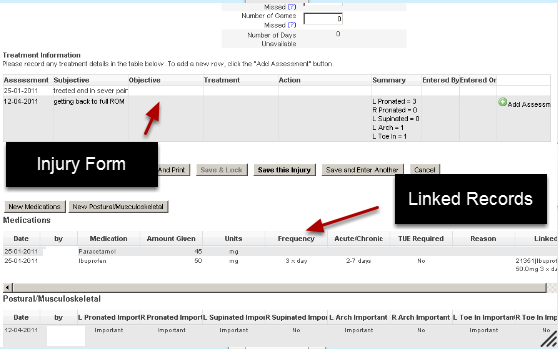 This is set up so that when you view the injury record you can see the different medications or assessments that have been done specifically in relation to this event. 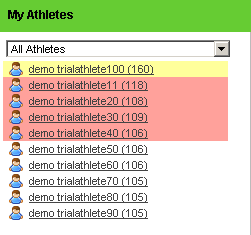 You can see here that the injury record has had 2 medication events entered and a postural form as well (as shown in the image below). 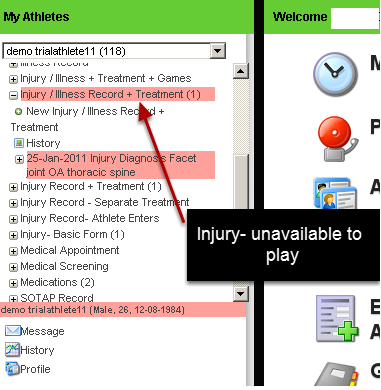 An example of the linked records as they appear when the original injury is opened.